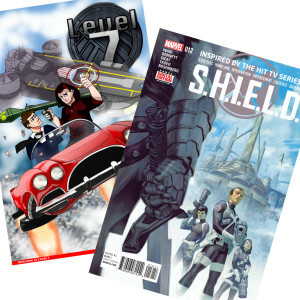 In the final issue of S.H.I.E.L.D., we are treated to a world hopping time travel story that takes us into a doomed future for the Marvel Universe's earth that can only be saved by Coulson and his team going into Asgard's past. “Kingslayer” is written by Mark Waid and drawn by Joe Bennett. We also cover Howling Commandos of S.H.E.I.L.D. #2, “Ghost Train” by Frank J. Barbiere and Brent Schoonover.